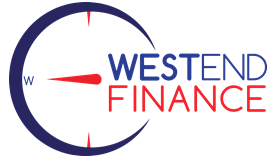 I make sure I get the perfect finance for you. From tailored loan packages with residual and balloon repayments to flexible loan terms from 1 -7 years. Or a loan with no monthly fees and low early exit costs – whatever you need from your car loan, I’ve got you covered. Plus, it doesn’t matter whether you’re buying from a dealer, auction house or private seller. Whether you’re shopping for your dream car or you just have no choice but to replace your beat-up old vehicle, there’s more to consider than the interest rate when looking at your finance options. If you buy based only on the interest rate, it can cost you more in the long run. Have you ever wondered how dealers can offer ridiculously low-interest rates? There is no such thing as a free lunch, and the same applies to finance, there is no such thing as 0% or interest rates below market average. The cost of a low rate finance deal is made up in the sale price of the new car. Often if you are taking up a low rate finance offer, you don’t get the opportunity to negotiate on the new car price, this is how they offset the loss of interest in the finance package. You will also find the loan terms are restrictive and don’t always suit your circumstances. These loans are normally on a shorter term, require a deposit, and they may also include a balloon payment. Beware of low rate finance offers as they may be too good to be true. Always ask for all fees and charges so that you can make a proper comparison before you make a decision. Doing your homework before you start seriously shopping is always a good idea. Knowing how much you can borrow means you can negotiate on the spot when you find the right vehicle. Plus, talking to a trusted broker means you’ll have more options to choose from and unbiased advice to help you make the right decision. Talk to me today and get a pre-approved car loan.